The world’s largest package delivery company has just broken another record, albeit on a much smaller scale. The shipping giant has just become the company with the biggest pre-order for Tesla’s newest vehicle, the upcoming Tesla Semi. UPS announced that it had placed an order for 125 Class 8, all-electric, semi-autonomous trucks. The order manages to beat PepsiCo’s order of 100 trucks. Juan Perez, chief information and engineering officer at UPS released a statement saying, “These groundbreaking electric tractors are poised to usher in a new era in improved safety, reduced environmental impact, and reduced cost of ownership.” The benefits of owning a Tesla Semi are quite promising, they’re even enough to justify the truck’s staggering price, which start with a $150,000 base price. 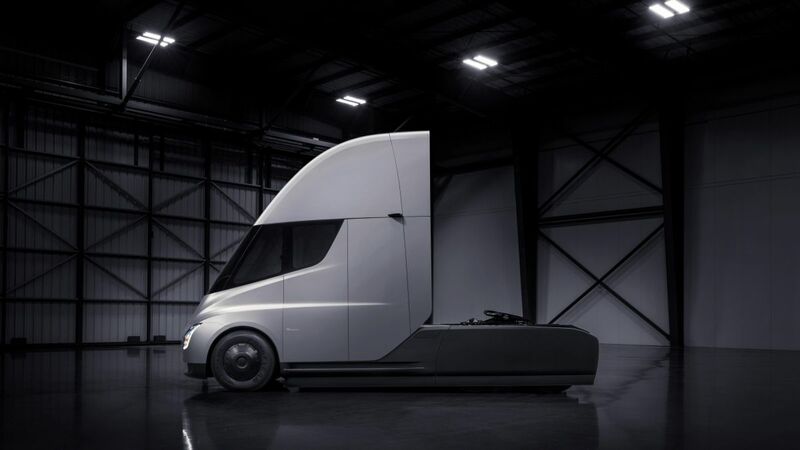 The trucks are expected to be able to travel 500 miles on a single charge and will need to be recharged on special rechargers, called Megachargers, designed specifically for Tesla’s Semis. UPS is known for its commitment to green initiatives that have the dual benefit of helping both the environment and their bottom line. Earlier this year the company announced an initiative to replace 1,000 diesel-fueled delivery trucks in its New York City delivery fleet (more than half of the company’s fleet in the city) with electric-powered trucks by 2020. Trucks based in NYC are perfect for this kind of conversion as smaller routes afford for less range anxiety. The UPS order is a major investment in Tesla: according to the company’s website, the cost of reserving the Semi is $20,000. Unless a deal was struck between the companies, that means UPS would have dropped around $2.5 million to gain the honor of being the (likely temporary) holder of the illustrious Semi pre-order record. The Tesla Semi could signal an important change in the shipping industry. Even with the hefty price tag up front, the potential for electric trucks to save money in the long run will likely continue to keep companies interested. Tesla’s advanced auto-pilot capabilities could also go a long way toward preparing the industry for a future of self-driving shipping vehicles.